UFC 205 MSG – New York opens the flood gates – The time is NOW! MMA fans have been waiting, wanting and drooling at the mouth, over the prospect of the UFC entering the legendary MSG arena for years now. I can remember speaking with MMA fighters and media about 8 years ago that New York is a long overdue destination for MMA to be legalised – and NOW! Its finally here UFC 205 MSG is happening tomorrow on Saturday 12/11/2016. In this fight while I have masses of respect for Eddie Alvarez, because he is one of the most seasoned veterans in the Lightweight division, and watching the “underground king” rise to become a UFC champion has been amazing to watch. But ultimately I cannot see how Eddie Alvarez will be able to defeat Conor McGregor – “The Notorious” Conor McGregor, is one of the most powerful punchers to ever grace the lighter weight classes in the UFC, love him or hate him, facts are facts. I think that Conor is going to stay on the outside, sticking and moving while Alvarez will be trying to corner McGregor and maul him against the cage/mix in take downs. I think that Alvarez has been dropped a lot of times in his career, and I just do not think his chin will be able to withstand the raw power that is in Conors left hand cross continuously for 25 minutes. For me skill for skill, stylistically this bout is the most fascinating contest on the card – Stephen Thompson is without question one of the most skillful and unique strikers the sport of MMA has ever seen. Tyron Woodley has some of the most explosive punching power at 170 pounds in UFC history. Thompson is the undoubted number 1 contender at 170 pounds, and Woodley is looking for his first defence of the title after shocking much of the MMA world by defeating Robbie Lawler by first round KO. For me I just struggle to see Woodley beating Thompson, because as impressive as Woodleys KO of Robbie Lawler was to win the title, and while he has Hulk like athletic strength, Stephen Thompson is a very rare Phenom on the feet, so I think his movement, pot shotting capabilities and ability to make his opponent miss, will all be too much for Woodley to deal with. However Woodleys punching power, incredible speed, and high level wrestling are x-factors which could provide an avenue to beating Thompson. Its a close one for me, but Thompsn should get the job done. Who would have ever guessed that we would be having two undefeated Polish martial artists competing for the title at the first ever MSG show? I didn’t see this coming a year ago that’s for sure, but its a fascinating contest nonetheless. Unfortunately though I only see one outcome here which is a continuation of the Jedrzejcyzk era, because while Kowalkiewicz is a solid striker, that is incredibly tough, Jedrzejcyzk is not only incredibly tough, but clearly has a far more refined, skilled and diverse striking game. Not only that, but really even though this contest should remain on the feet for 5 rounds, Jedrzejcyzk also should have superior cardio, wrestling/counter wrestling and BJJ. But Kowalkiewicz’s toughness should keep her in the fight till the 5th round, but her face will probably not look great, and she will probably get more tired then we have ever seen her. Verdict: Jedrzejczyk via unanimous decision. Talk about a clash of the titans feeling match, these kind of fights feel like they would perfectly suit a main event in an ancient roman Colosseum, because both martial artists have that true warrior aura. Its also a really tough fight to call for me, possibly the toughest on the card, because the possibility of an upset seems like it could be primed to come in here. Because as much as I enjoy Chris Weidman, because he has had an absolute Captain America feel about him since stepping into the octagon, we did however see the first chink in his armour when he was absolutely pummelled by Luke Rockhold in a close contest in his last fight. Even in defeat though, Weidman showed a rare kind of will to not give up in the bout, he literally took hundreds of unanswered heavy shots from Rockhold before the fight was stopped. Yoel Romero though is a legitimate beast at 185 pounds, this man has exploded through most of his opponents, thus far in the UFC, and while we saw him nearly get finished by Tim Kennedy a few years back, the 30 seconds or so of vulnerability was then answered by Romero TKOing Kennedy in the nest round. The scariest part about this contest for Weidman fans, is that Romero is undefeated in the UFC, he will likely have a Wrestling and Power advantage in this fight, possibly even a general striking advantage too. The only clear advantages on paper that I can see in Weidmans favour, are BJJ, durability and cardio. Also we have to factor in that Weidman has not fought in a long time and has undergone serious neck surgery since then, so we really don’t know what he will look like in this return bout. For me though this is not the come back fight that Weidman should have accepted, I think he should have taken an easier warm up match. But I think the lure of the first UFC event at MSG, especially because of Weidman helping a lot in getting UFC legalised in New York, and a chance to become number 1 contender again, was too much of a lure for Weidman to turn down. I think he will possibly pay for that in this bout, so I have to back the upset coming in here. Verdict: Yoel Romero via 2nd round TKO. Michael Johnson vs Khabib Nurmagomedov. The Eagle is back, its been a longtime coming and the Darrell Horcher bout cannot really count as a true comeback fight for Khabib Nurmagomedov, so for me this is his true comeback fight. But similarly to the Weidman vs Romero bout, I smell the potential for an upset here, however I’m not so sure it will actually happen, because Numagomedov is just such a special wrestler. The one saving grace for Michael Johnson is that he is a much cleaner striker then Nurmagomedov, which coupled with his own solid wrestling pedigree could certainly lead Johnson to victory here. Johnson has also faced slightly tougher opposition then Nurmagomedov, so that’s another point in Johnson’s favour. But seriously Nurmagomedov is not 22-0 for nothing, and I anticipate that he will grind down Johnson for 3 rounds. Verdict: Khabib Nurmagomedov via Unanimous decision. Frankie Edgar vs Jeremy Stephens – Frankie Edgar via 2nd round TKO. Liz Carmouche vs Katlyn Chookagian – Katlyn Chookagian via Unanimous decision. 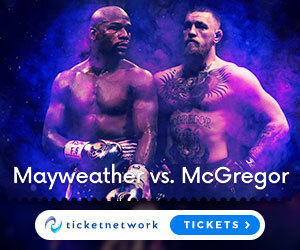 If you want to get odds for any of these fights, you can go HERE or if you want to place a few bets right now at treble odds, then you can go right HERE. Either way lets all just stop talking now and get to enjoying the fights, its been a long time coming for this card to arrive and now its here, and while I cant get to New York to see this event live, you better believe I will be glued to the TV set from start to finish, past 7am lol. And of course you know where to come for all the updates on what happens this saturday, because it will all be right here at the MMA Gateway.